Here’s a list of 15 words and phrases to avoid in your construction marketing copy. There are many words to avoid when writing marketing copy for construction products. One of my core principles is to be objective. The reason for this is – architects and other specifiers just need the technical information. Avoiding overused words that exaggerate meaning will improve trust in your reader and make it easier for them to do their job. They need to select the product that is suitable for the application based on its materials, dimensions, features and suitable applications. If you find yourself including these, imagine a warning siren going off. Stop and review whether the sentence is still true or not. Consider editing out the word and focusing on the facts. The temptation of the eager marketer or copywriter is to over-emphasise features and benefits. This is appropriate in many industries, but not in construction specification. Is ‘in the heart of’ a cliche? In marketing copy, I see this phrase a lot. Is ‘in the heart of’ a cliche? When people use it in a lazy, meaningless way, my first instinct is to remove it if at all possible. It doesn’t tend to appear on lists of ‘worst marketing buzzwords‘ but I would still put it on my list of phrases to avoid, especially in a construction products context. A recent example referred to a project provided building components for the NEC. The Exhibition Centre was being described as being ‘in the heart of’ the West Midlands. ‘In the heart of’ is just a flowery way of saying ‘in the centre of’. This is one reason to avoid it. In construction marketing, it is my opinion that overly decorative language serves no purpose. Get to the point and convey the facts. Your audience need facts and information to do their job, whether that is specifying products or assessing a tender document. Although the heart is a metaphor for the centre of something, ‘in the heart of’ also implies an emotional connection with a location. Does your business or location have a strong emotional connection, with its wider location? If so, then you can use a phrase like this to evoke a connection with your reader. It is worth stopping to think whether it’s appropriate to try to conjure up emotion in your marketing. At the heart of this security fence is a unique anti-vandal fixing system. It’s true that theft and vandalism are emotionally upsetting for the victims, but for a public sector buyer or urban design specifier this is not relevant! When is it appropriate to use emotion when marketing building products? An example of appropriate use is the strapline on the signage for my home town, Stirling – ‘Scotland’s heart’. The historical connection between this location and Scotland as a country is relevant and there’s a play on William ‘Braveheart’ Wallace, who fought and won the famous battle in 1314 at Bannockburn. This is a marketing identity though, not a construction product. For the most part, when we are marketing building components, emotion shouldn’t be high on the list of requirements. I racked my brain for suitable examples – ceramic tiles or made in the Stoke area could be described as ‘made in the heart of the Potteries’. The area’s association with earthenware could be used to show a manufacturer’s heritage and traditional skills. Maybe public art could be designed with a strong connection to its location, and legitimately be described as being ‘in the heart of’ a town. What about historic buildings? Is ‘solution’ a dirty word? Avoid the word ‘solution’ – it is a lazy marketing cliche that should almost always be replaced with simpler, clearer phrasing. However, in some situations, is the best word for the job. The phrase has been overused to the point of losing its original meaning of ‘a solution to a problem’. It was rated the seventh most overused marketing word in an extensive study (behind unique in fifth) and there are numerous articles deriding its use in marketing. The satirical magazine Private Eye even dedicated a regular column to mocking real examples. Why do people use the word ‘solutions’ in marketing? Writers sometimes use the word ‘solutions’ to make the product or service sound more important or valuable. If you place the word at the end of a product description, that would make perfect sense without it, you should drop it without hesitation. For example,in the phrase ‘carpet tile solutions‘ – it is completely redundant. ‘Carpet tiles’ is sufficient here. Marketers will use the word to overcomplicate products or services when it would be better to use simpler language. This may be due to a belief that making things sound more important, or using complex language, is better for your marketing. (This is the usage that Private Eye would make fun of – ‘hosiery solutions’ instead of ‘tights’, for example.) In a construction products context, I’ve seen reference to ‘under-desk power solutions’. In reality this product would be better described as a module or unit. Specifiers need to know exactly what the product is, and what it does – don’t make things a guessing game for them. If it is difficult to describe a product or service, people sometimes use ‘solutions’ as a convenient way to summarise things. In an example such as ‘erosion control solutions’, (a) the product solves a problem of erosion control, and (b), a ‘textile formwork that acts as a surface sealing system while protecting against erosion, mechanical damage and buoyancy forces in waterbodies’ is a complicated concept. It is used as a catch-all term to cover a broad range of products. I have seen ccompanies providing ‘hard landscaping solutions’ when various types of paving, kerbs, drainage, car parking areas and traffic management – everything but the asphalt. Companies often claim to offer ‘complete solutions’, though, when in reality they only offer a few products. ‘Welded mesh fencing solutions’ in reference to vertical mesh, double-skin mesh, anti-climb mesh, ball-stop fencing, etc. In these situations, it is simply many different products, not a solution. When to avoid the word ‘solution’? 1: when it serves no purpose in the phrase or sentence. 2: when your product is simple and you are tempted to make sound grandiose. 3: when it is difficult to write a useful, clear and informative description of your products or services. 4: as a substitute for a broad range of products. In situations 1 and 2, simply drop the the word. In scenario 4, use the word ‘products’ instead. Alternatively, another umbrella term to describe a group of the type of products described. This often isn’t easy, so instead it is worth looking at ways to rewrite your text to avoid the need for this word in the first place. Scenario 3 is more interesting – when the product or service is complicated, ambiguous or difficult to describe. Sometimes describing something as a ‘solution’ is OK if the product requires many words to explain and you don’t have the space. However it is worth examining closely ways to communicate the product and its benefits in shorter phrases. Employ the skills of a copywriter! When is it OK to use ‘solution’? In the past, I would vehemently and doggedly avoid the word ‘solution’. Over time, my stance on it has softened a bit. Maybe I have been ground down into submission. As an editor, I came across various grey areas where I felt that using the word was OK.
Where more than one product type could solve that problem, the specifier is looking for a solution. For example, if you claim to offer ‘erosion control solutions’, you should provide more than one way to solve problems of erosion. However, most suppliers still provide and systems, not solutions. I use the word ‘solutions’ for companies who offer design and technical advice, to help the specifier make the right choice of products and systems. Some companies manufacture or supply very broad range of products, as well as helping the designers with selection. You could say they solve the problem of a particular area of a building or landscape. A supplier like Broxap and Marshalls can provide “lots of hard landscaping products from the same supplier used together in an integrated way”. A “full external landscaping solution”, if you will. I’m comfortable if innovative techniques can be referred to as solutions, such as off-site manufacturing, or genuinely bespoke design. A ‘prefabricated concrete floor panel, with integrated thermal and acoustic insulation is more than just a product. I’m not sure it is a solution but it certainly solves more issues than standard products would. When you have a limited word count, sometimes it is the best word for the job. For example, it can be difficult to describe a complex product or a range of products, in a 140-character tweet or email subject line. Bear in mind the above guidelines if you do this. Turner Ink: If this is the solution, what was the problem? Whenever editing or proofreading marketing copy that promotes construction products, the phrase “designed to stand the test of time” would jar with me. As a technical editor who favours objectivity and facts over exaggeration and hyperbole, it didn’t sit right. 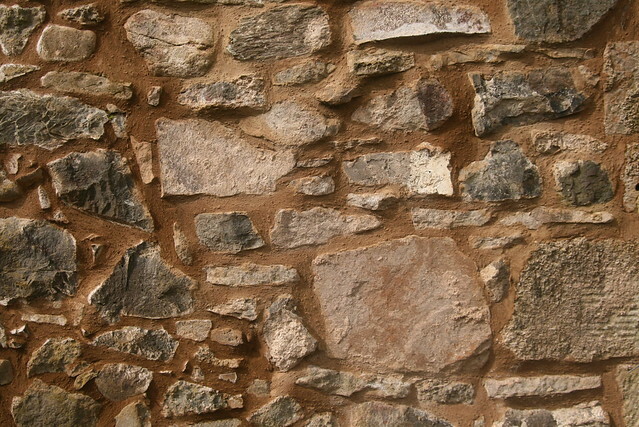 I think of a stone building or monument standing the test of time, for 100 or 500 years. However, if you want to use the phrase with integrity, it does depends on the context. Cambridge, Oxford and Macmillan all define it in a similar way: to remain popular, strong, effective, successful, etc, after a long time. The thing that bothers me about this phrase, is that in a construction context, time itself doesn’t actually wear a product. Instead, it is affected by weathering (rain, wind, sea-water, sand, freeze-thaw), people using it, animals or things bumping into it. These things will have a different effect on the product depending on the application. How to prove products ‘stand the test of time’? When writing for product directories, one of the most popular case studies I ever developed for a client was a ’14-years on’ piece. Here, an engineering company revisited one of their projects to see how it had performed over time. The a spun-galvanised cast iron viewing platform had been installed on a seafront, so resistance to corrosion was important. An of objective analysis like this is the sort of thing that helps architects make the decision on a product that will need to last a long time. How has the finish lasted? Are the welds sound? What about the fixings, if they are a different material? The Souplesse enclosure can be supplied with or without a shower tray to be fitted directly onto a tiled floor. With its 10mm safety glass and an innovative non-slip hinge design, the Souplesse will stand the test of time. In my opinion the usage of ‘test of time’ is completely inappropriate in this instance. The thickness of the glass and design of the hinge will provide durability but a domestic shower enclosure is hardly going to be subject to heavy weathering or usage. Full Moon fibre-bonded carpets are designed for applications subject to heavy wear and tear. They are a highly cost effective solution that meet the relevant performance tests and have been proven to stand the test of time. The word ‘test’ is suitable here, as commercial carpets are subject to specific testing to British Standards. These establish their durability in contract applications. Although they need to withstand wear, it isn’t ‘time’ that tests their durability. It is the number of people that walk over them, and the application. A carpet might be tested to withstand daily use in an office corridor, but in the entrance atrium of a secondary school of 1500 pupils, it will wear it out much more quickly. Let’s say the building is used for sport at weekends, and rugby teams are passing through the area – this would drastically shorten the life of that carpet. Historical events are traditionally commemorated with a plaque and the material should be able to stand the test of time. Cast bronze is favoured, due to its long-lasting properties and its classic look. I can almost forgive the use of the phrase ‘stand the test of time’ here. Plaques convey a feeling that is associated with the importance of the event that is to be remembered, so more emotive language feels appropriate. On the other hand though, the text above communicates this idea in plainer terms – long-lasting properties. This is sufficient to convey the concept of longevity to an audience like architects. In fact, they’d probably prefer specific details on how many years it could be expected to last, and how the finish might age in different atmospheric conditions. In theory, there is nothing wrong with using the phrase ‘stand the test of time’ if your construction products do last for a long time. As always, though, I advocate a fairly objective approach and let the facts speak for themselves in order to gain the trust of architects and other specifiers. It may sound boring (that’s the aim) but be more literal about things. How much time do your products last? To be pedantic about things, though, weather and everyday use aren’t a ‘test’ – they are just things that happen as part of normal everyday life and the passing of time. The phrase ‘complete with’ is overused in construction product marketing and usually comes with an exaggerated or emphasised meaning. This goes against one of my mantras for writing about construction products – be objective. The meaning that is usually intended is actually at odds with the conventional, dictionary definition of the word. In my view this erodes trust with your reader. (often used for emphasis) to the greatest extent or degree; total. It is usually used in reference to accessories a product can be supplied with. These are often optional extras or features that are included in addition to the essential basic qualities of the product. I was quite surprised to read what I see as a ‘bad’ definition in the Oxford Dictionary, but it is simply reflecting how the phrase is used in reality. A comprehensive collection of paving complete with a choice of finishes. An ultra-high security fence complete with anti-climb razor wire. Is the fence really ‘complete’ when anti-climb razor wire is attached to the top? This additional accessory will provide the right level of security for certain specific applications. For others, barbed wire, electric wire or rotating spikes will be more appropriate. In many cases, the budget will determine the level of security that can be attained. Avoid the phrase ‘complete with’! The phrase ‘complete with’ is frequently used to add emphasis but it doesn’t add any extra meaning. This extra emphasis is unnecessary in my opinion and only serves to erode trust with your reader. The idea that a product is “complete” is abstract – it’s entirely dependent on the needs of the user or the circumstances of the application. I find that in the context of construction products, this is a more accurate definition. The phrase just means ‘with’. ‘Complete with’ is often a misuse of the word ‘complete’. The idea that a product is somehow complete when it is supplied with additional things is subjective. There is is not even any need for this extra word to convey meaning. The phrase would be better replaced by ‘with’ or’ has’. Be objective in your product descriptions. Don’t exaggerate in your product information. I often see the word ‘both’ in construction product descriptions. Products have more than one feature or benefit, and ‘both’ is deployed to emphasise these benefits. It can be made to show that one benefit or application is not more important than the other. In other words: a stone effect paving that is suitable for both domestic and public applications is equally suitable for those two types of environment. Be careful not to misrepresent things though. If a product is primarily for domestic applications, it is much better to say so than to try to cover all bases. Specifiers will not thank you if you say it is ‘suitable for both domestic and commercial applications’ and the product fails when used at a retail park. Be honest and upfront. In this context, the word ‘both’ is used as a correlative conjunction, in the same was as ‘not only… but also‘. A correlative conjunction joins two parts of a sentence that include related information. With ‘not only… but also’, the two parts should be related and the second should build on, or be more important than the first. I’ve written about ‘not only… but also’ before, and how this phrase is misused to add emphasis to marketing text. AJE.com has a good grammatical explanation of how the word ‘both’ should be used. “both…and” is used as a conjunction relating two nouns, two adjectives, and two verbs, respectively. Furthermore, as a conjunction, ‘both’ emphasizes that the two entities being discussed (whether nouns, verbs, or adjectives) are included equally. I find that the use of the word both brings about a sense of distrust. I’m often suspicious as to whether a product really does deliver on both of the things that are claimed. – it’s important to make specific reference to why the product is suitable for either of these applications. – if two options are available, that are used for different applications, it’s incorrect to use ‘both’ in this case. The two options aren’t equal, they are distinct and separate. I always advocate editing out words if it makes your writing more concise. In most of the cases above, the sentence will still work perfectly if you remove the word ‘both’. Usually I will have edited this word out, and the sentence still does the job. For me the word often feels like it is trying to over-emphasise things in a forced or untrustworthy way. A designer or buyer will have one application or another (for example), in mind, so it makes no difference to them whether this fantastic surfacing product is suitable for both children’s playgrounds and airport hardstandings. Specifiers just want the technical information. They need it as quickly and as clearly as possible. I believe that cutting out words that are traditionally used in marketing for emphasis will make it easier for them to do their job. Here’s why I think you should avoid the word boast in marketing. The meaning of words do shift constantly. One of the senses that the word ‘boast’ has taken on is of the possession of a feature that is a source of pride. In construction marketing, it often appears in the context of product features, the design elements of a building or external project. In marketing, one of our objectives is to convey the best aspects of our product or service. Naturally, these are things that we are proud of. However, the primary meaning of the word boast is to communicate with an excessive degree of pride and self-satisfaction about one’s achievements, possessions, or abilities. For me the word has the negative connotations of a boxer at a press conference, a con-man or an untrustworthy politician. Do we really want to boast in marketing? Using boasts instead of simply ‘has’ goes against the principles of construction writing as well as content marketing. Boasting about something has negative connotations and is a turn-off for your reader, in my opinion. Sainsbury’s is one of the biggest retail brands in the UK. There’s really no need to boast about the number of transactions – the figures speak for themselves! Sainsbury’s, which boasts more than 24 millions transactions per week across it’s 1,200 stores, is one of the best known names in retailing. 1Rebel boasts a spacious changing facilities ‘fully stocked with top-end grooming and skincare products, sports-luxe retail zones and a post-grind workout courtesy of Roots & Bulbs cold-pressed juice bar. Although this gym is proud that it has set itself apart, there should be no need to ‘boast’ about it. The images show something special and different, and I’m sure actually being there in person, it would speak for itself. On the other hand, maybe boasting is a quality that is synonymous with obsessive workouts and building a muscular body! In which case, this would be an appropriate word choice. Here’s a final example. In construction, ‘boasts’ tends to be included to strengthen a piece of text. A boastful salesperson sounds like the worst kind, in my opinion! The negative associations are of bragging, crowing or gloating. As an alternative, just write in plain English and use the word ‘has’. When describing a product, explain in some detail about why the features are beneficial and specifically how they will help the designer or end user. These facts should carry enough weight without having to boast. ‘State of the art’ is a phrase that exaggerates and does not add value or build trust with a target audience of technical construction buyers. Rather than looking for ‘state of the art’ synonyms, it’s better to avoid the phrase entirely and explain in plain terms why the product or project is great. Whenever I come across ‘state of the art’ when copywriting or editing product information, I will remove it, even if the product is technologically advanced. Specifiers have a job to do, which usually involves weighing up the pros and cons of the products materials, features and benefits. State these clearly and help to make their job easier. In the past I have included ‘state of the art’ when referring to projects such as laboratories, testing centres or manufacturing sites that are using technology or carrying out processes that have not been done before. Proof that ‘state of the art’ is a gross exaggeration can be found in its origins. It was first recorded in the Oxford English Dictionary in 1910. So it’s original meaning was not to even convey technology that is ahead of the industry at that time. For years now, it has been considered an exaggeration, as Executive magazine stated in 1985, “it has no punch left and actually sounds like a lie” Vol. 27, p. 56. In recent years, though, the phrase has continued to be excessively and mindlessly misused, to In 2010 it was the 21st most overused marketing cliche, in a study conducted on press releases. Below are synonyms to the phrase ‘state of the art’. For me, most of these are not satisfactory – all of them are used to emphasise or exaggerate the importance of a thing, which is to be avoided. Over the years, writing and editing construction product content, I have cut out the phrase “a wide range of” countless times. We offer a wide range of high quality [insert your product type here]. I find myself returning to the following advice: if a phrase is overused – avoid it. If you are able to simplify or shorten your writing, while still making sense, then cut the word or phrase out. In most cases, saying that you offer a wide range of products does not add meaning. Simply referring to the product type in the plural will do the job. Manufacturers seem keen to express that they make many different types of a particular product. Sometimes, this isn’t even true! Sometimes a narrow range of products is OK! For technical products, often, a relatively small range of things that do specific jobs is (1) offered. 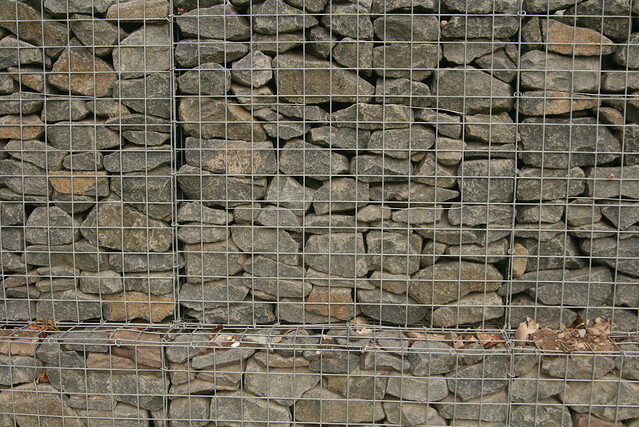 For example, there’s no need to say ‘we offer a wide range of earth-retaining products’ if you offer geotextiles, geogrids, retaining walls and soil nails. Spell things out in plain language. Be specific about the different product types that you offer. Make the information easy for specifiers to access. 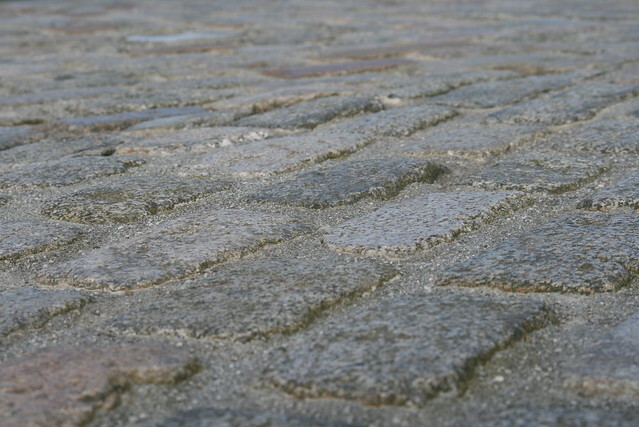 Products with an aesthetic qualities like street furniture or paving are often offered in many different styles. In these cases, the company does in fact offer ‘a wide range’. However, people aren’t drawn in when you say ‘we do everything’, or ‘we have every styles to suit any application‘. Put yourself in their shoes – when specifying, they normally have a fairly specific requirement that they are trying to fulfil. You need to direct them towards the product in your range that is best suited to their requirements. It is much more helpful to the specifier to summarise or provide an overview of the breadth of types available. Could I put it more shortly? “is offered”? – isn’t that a typo? Actually, it isn’t – more on that in a future post.